An amazing fusion between romantic history and glorious modernity, a place where the infinity of the clear blue sea amazingly meets the mountains with cloud-topping peaks, the fascinating island of Rhodes in Greece exerts a strong attraction for thousands of visitors, from its secluded position in the middle of the Dodecanese complex. 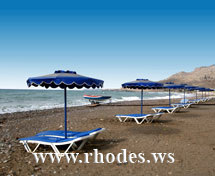 Choose your hotel in Rhodes, Greece for your amazing Rhodes holidays you will never forget! 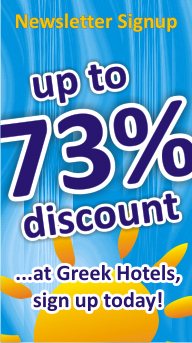 Each of Rhodos hotels, apartments and studios guarantees relaxing holidays, catering for all styles and budgets. From the most exquisite tastes to the freedom of catering on your own, the accommodation offer in the island of Rhodes will impress you in diversity. Relax on the lovely sand and pebbled beaches, explore the nature wonders at Epta Piges and The Valley of Butterflies, pay your respects to the impressing Acropolis in Lindos, at your next holidays on Rhodes, try your hand at water sports or discover the fascinating underwater universe while scuba diving - Rhodes keeps you busy every day of your vacation in Greece. The surfers' paradise, Prasonissi, in the southern Rhodes, awaits you for true adrenaline Rhodes holidays. Enjoy a fresh grilled fish or a Greek salad on a inviting taverna on the beach, drive to a fishermen village and try the mouth watering fresh seasoned sea food, indulge your senses with a fine dining in an exquisite restaurant in Rhodes town, overlooking the sea, refresh with an ice-coffee in a local bar mingling with the friendly locals, or simply sip your colorful cocktail on your hotel terrace while relaxing in front of a glorious Rodes sunset! 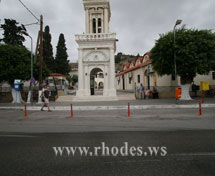 Every day of your Rhodes holidays is simply fascinating. Every wish of a dream vacation will become reality in this amazing island, one of Greece's top travel destinations! Check out the hotel offers and the car rental offers for your next holidays on Rhodes Island, and have your Rhodes Vacation 2014 booked today.